Today's So Shoe Me is the Ivy Boot by Miista, $200, available at Solestruck. 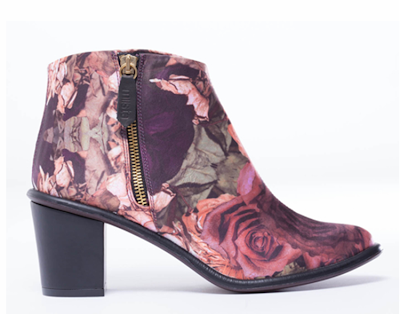 Bloom into fall in rose covered classics like these kaleidoscope print ankle boots by Miista. A mirror-image pattern full of blood red roses and autumnal leaves adds a fresh yet classic print to these everyday fall staples. The rich jewel tones of this textile upper will camouflage stains and is easy to wipe clean after a long day's work. Pair these versatile heeled booties with a luxe black leather dress and burgundy tights for a new take on cocktail attire. So Shoe Me a pair of rich rose print boots that will add a fresh fall feel to my favorite seasonal separates.